Doctor Who is the world’s longest running science-fiction TV series. Battling daleks, cybermen and sontarans, and always accompanied by his trusted human companions, the last Timelord has saved earth from destruction more times than you’ve failed the build. Neo4j is the world’s leading open source graph database. Designed to interrogate densely connected data with lightning speed, it lets you traverse millions of nodes in a fraction of the time it takes to run a multi-join SQL query. When these two meet, the result is an entertaining introduction to the complex history of a complex hero, and a rapid survey of the elegant APIs of a delightfully simple graph database. 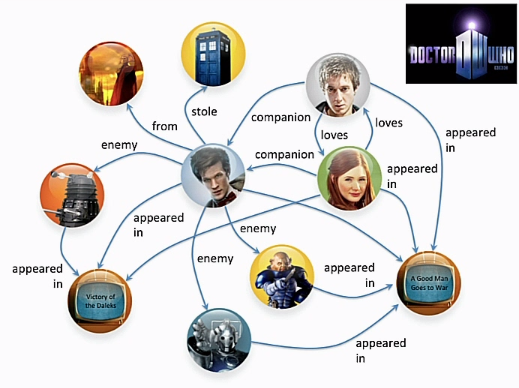 Armed only with a data store packed full of geeky Doctor Who facts, by the end of this session we’ll have you tracking down pieces of memorabilia from a show that, like the graph theory behind Neo4j, is older than Codd’s relational model.